Raccoons are amazing creatures adept at surviving both in the wilderness and the city. They can eat pretty much anything, and they are curious. Their paws are similar to human hands, making them awesome bandits. 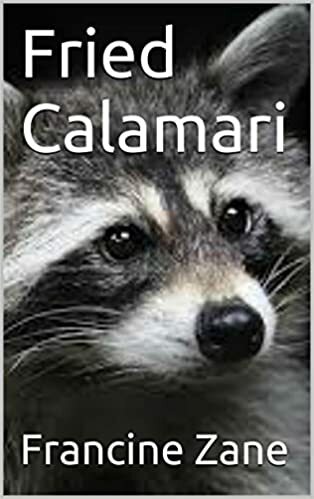 In the sequel to Shyster & Shyster, the main character has a three-legged pet raccoon name Calamari. The more I write on the sequel, the more Calamari has developed into a shining star in what is supposed to be a human’s story, so I’ve decided Calamari deserves a story of his own. I have set aside time to write Fried Calamari. In Fried Calamari, we will learn how a four-legged wilderness creature becomes a three-legged home cook who wears clothes, is a natural linguist and is teaching himself to read. A friend asked me today if this was a book for children. I’m not sure how it could be considering the working title of the second book in the series is The Lesbian Cure. I’m not too sure how many kids would understand the humor revolving around Calamari’s human roommate. Heck, I’m not even sure Calamari gets the humor.